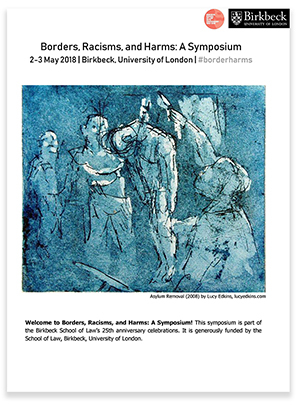 Julian Norman and Rebecca Penfold were invited to present a session at a Symposium held at Birkbeck University’s School of Law as part of their 25th Anniversary celebrations. Their session, entitled ‘Byron Burgers & Beyond: Private Citizens as Immigration Enforcement Officers’ covered the development of immigration law between 2002 and 2018, examining the ways in which employers, landlords, and other private citizens are expected to take responsibility for the immigration status of others. To see their presentation in full, click here.